New Lumix Full Frame Mirrorless Camera! In what seems like the endless stream of Full-Frame Mirrorless camera announcements this summer a new contender has just entered the ring! 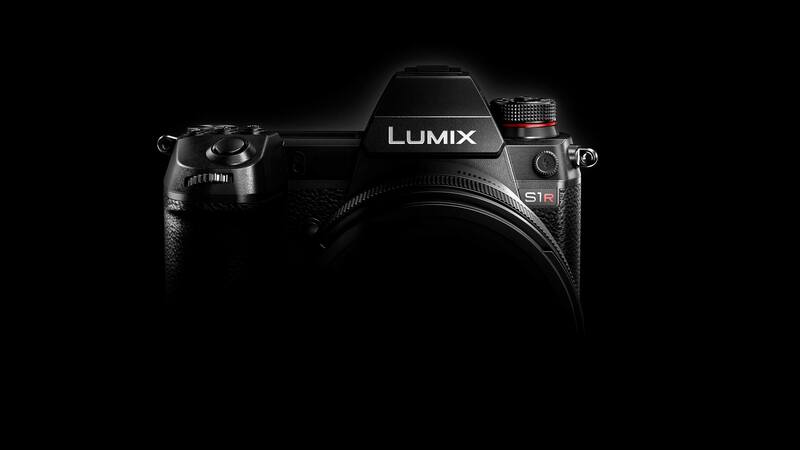 Earlier today at Photokina Panasonic announced the Lumix S1 and S1R. Similar to Sony and Nikon’s recent offerings the new Lumix camera will come in two flavors. The S1 will feature 24 megapixel resolution and the slightly up-spec’d S1R will have 47 megapixel resolution. Other key spec’s that Panasonic is touting for the camera is it’s dual image stabilization, 3-axis tilty-flippy LCD screen, Dual XQD/SD card slots, 100% weather sealing and of all things resistance to low temperatures (Panasonic appears to be trying to shake Canon and Nikon’s strangle hold on the nature and adventure photographer market). One last feature that the New Lumix will feature is 4K 60p recording (50p for all you PAL folks). The S series is the first, and so far only, full-frame mirrorless to feature 4K 60p recording. THE WAIT IS FINALLY OVER! Panasonic will also be introducing a new mount to go along with the new cameras. The L-mount is relatively new product of a collaboration between Leica, Sigma and Panasonic. The mount is 51.6mm in diameter and has a 20mm flange distance. The new specs puts it squarely between Sony’s E mount and the new Nikon Z and Canon RF mounts in terms of size and ability to use adapters. Outside of 4K 60p recording and 24/47MP sensors not many other details have been released about the new camera’s features. Given the camera’s Lumix lineage it’s safe to assume that the S1 and S1R will have similar max shutter speed and other video modes to the GH5. Panasonic has announced that the S1 and S1R will be released in early 2019. Pricing for the camera has not been announced. Going by the competition it is safe to assume the bodies will be around $2000 for the S1 and $3000 for the S1R. They did not confirm any lenses that will be releasing with the cameras. However, they did announce a commitment to expand the lineup of S-series compatible lenses to more than 10 by 2020. They mentioned 3 lenses in this expanded lineup specifically. So far a 50mm f1.4, a 24-105mm, and a 70-200mm lens were included in the press release. (No max aperture for the 24-105 and the 70-200 were announced.) Based on some of the photos used during the Photokina presentation, it is safe to assume that these lenses will be released with S1 and S1R. The 24-105mm will likely be a kit option. Currently, the only L-mount lenses are from Leica. They have 11 full-frame L-mount lenses in production at the time of writing. With Panasonic entering the game it is now undeniable that full-frame mirrorless is (or at least will soon become) the new standard in Photography. Panasonic has lead the way in introducing rock solid video performance in a small package with it’s Lumix GH series cameras. It’s too soon to say if there will be any major video improvements over the GH5 and GH5s, but the introduction of a full-frame sensor will make the new cameras much more appealing to crossover shooters. Without official confirmation on pricing and a few other key video features (looking at you 4:2:2 10bit internal) it’s hard to tell how these will stack up against the A7iii and A7riii. If the S1 and S1R come in within a few hundred dollars of the current A7 series lineup, Panasonic will be rocking Sony’s full-frame boat pretty hard. Overall the Lumix S1 and S1R pack a lot of great features into a single camera which will make Panasonic an increasingly viable alternative for professional photographers who want to switch to mirrorless and videographers who need rock solid video in a full-frame package.